A controversial bill asking Congress to let North Dakota “engage in relations with Native American tribes” to “improve the failed Indian reservation system” has been withdrawn at the state legislature. The bill was criticized because North Dakota is infamous for its horrible relations with Native Americans. “Even though the state of North Dakota has proven to the world — during the Standing Rock opposition — that it cannot properly treat American Indians with respect and dignity, two North Dakota lawmakers want Congress to grant states the power to take care of Indian reservations,” Native News Online reported. 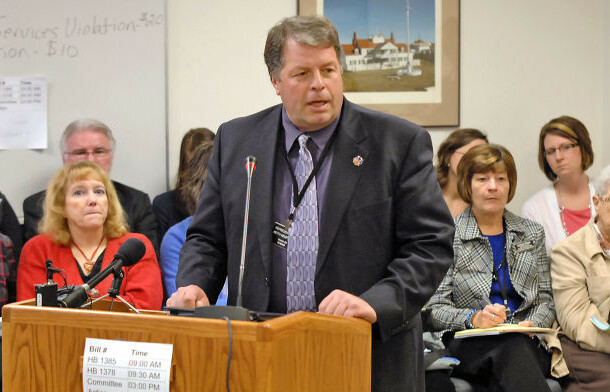 The bill was introduced by Republican lawmakers Keith Kempenich of Bowman and Vicky Steiner of Dickinson. House Resolution 3017 (read it here) says that federal “management” of reservations has been a failure and that the state of North Dakota could do better, though no evidence is presented that this would be true. “Under the management of the federal Bureau of Indian Affairs, Indian reservations continue to be among the poorest communities in the United States,” the bill reads. House lawmakers agreed to toss the bill in the trash yesterday at Kempenich’s request. Be the first to comment on "Republicans Withdraw Bill to “Engage in Relations” with Tribes"